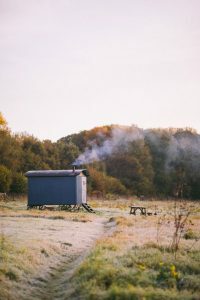 Britain is a nation of shed lovers; with approximately 12 million domestic sheds in use we have a higher concentration than anywhere else of the planet! 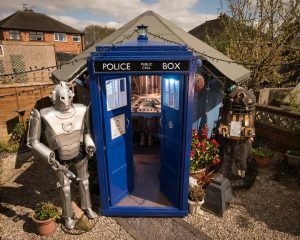 We even celebrate 'National Shed Week' which culminates in the 'Shed of the Year' award - an award so popular that a primetime television programme is dedicated to it on Channel 4! For generations of men the shed has represented a spiritual bolt-hole away from the humdrum of family life. A place where a bloke can get a bit of peace and quiet and indulge in a pet project without interruption. 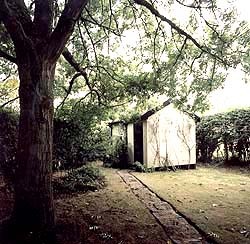 Although a majority of sheds are the resting ground for rusting garden equipment and unfinished projects gathering dust some inspire greatness; Benjamin Britten wrote some of his finest work in his garden shed, including Death in Venice, Phaedra and the Third String Quartet. The modest brick building with its pan tiles roof certainly doesn't look much but the shed has been given Grade 11 listing by the Department of Culture, Media and Sport due to 'its importance as a piece of our cultural heritage'. 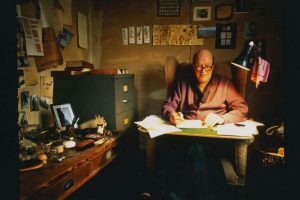 Other luminaries that have worked from their garden sheds include Philip Pulman, Damian Hirst, Virginia Woolf and Roald Dahl (who wrote some of his most loved children's books in a 6ft x 7ft shed he called his nest). 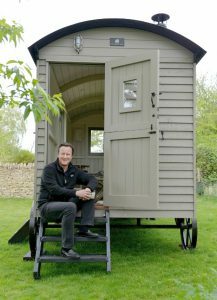 Even today the shed is the go to place for creative endeavours; David Cameron has just forked out £25,000 for a shepherd hut where he plans to write his memoirs. 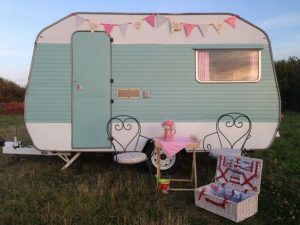 Shepherd huts have become popular in recent years. Sales have soared with some companies reporting a 60% increase in sales. 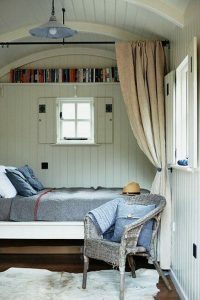 The growing trend for glamping along with exposure in style magazines has led to shepherd huts painted in Farrow and Ball hues, complete with wood burners and cashmere throws appearing in gardens the length and breadth of Britain. 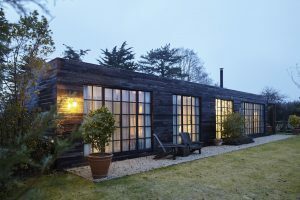 With flexible working hours and open offices on the rise more and more people are using sheds, huts and shacks as office space. 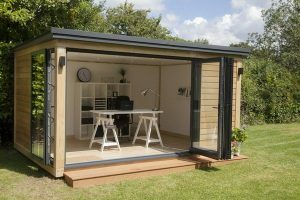 In 2015 5% of sheds were used as an office by 2017 this had risen to 13.8%. 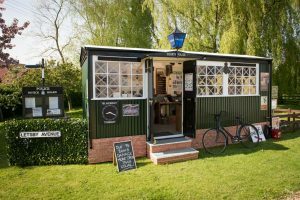 Property guru Kirsty Allsop is a fan of the garden office, in fact she wrote her first book in a purpose built shed in the garden of her London flat. More and more self employed people are realising the benefits of building a separate space for their work. It not only transforms how you work, but also de-clutters your home; rooms seem bigger and brighter without a desk, office chairs, cables and computers cluttering up living space. It also provides a divide between work and home. Even just walking out of the back door and down a path in your garden gives a definite break between the two. 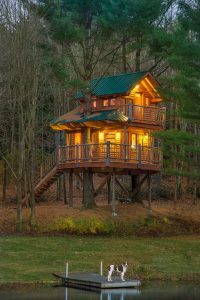 The choices available if you want to create a bolt hole of your own are limitless. 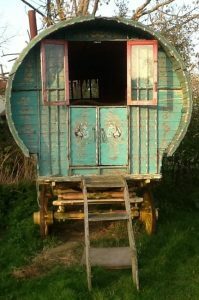 From tree houses to traditional gypsy caravans there is something to suit every style and budget. The cutting edge design company Bert & May have created the Bert Box - a prefabricated living space that is both innovative and stylish. 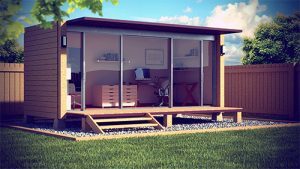 The Bert Box is available in 4 designs; 1 bed, 2 bed, office and pop-up suite. The high quality of materials used in the Bert Box sets them apart from other prefabricated buildings. Cutting edge features such as invisible ceiling speakers in all rooms, nest learning thermostats that monitor usage and presence within the structure and lighting that can be controlled by iPad are all included. They are also environmentally friendly - with packages offering green planted roofs and solar panelling that can provide up to half the Boxes' electrical consumption. 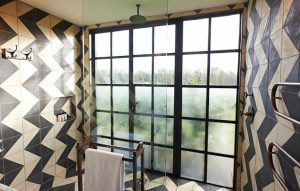 The Bert Boxes' are also incredibly stylish, clad with reclaimed timber and interiors that feature handmade encaustic tiles, reclaimed timber floors with underfloor heating throughout and ultra thin framed Crittall style windows and doors which open completely to allow for maximum light and airflow. 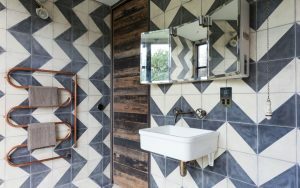 Bert's 2 bed Box provides a spacious master suite with a stunning ensuite bathroom that boasts a fully retractable wall to enable open-air showering.